Welcome to our BDSwiss broker review South Africa. BDSwiss has been in operation since 2012. They are owned and operated BD Swiss Holdings who are headquartered in Cyprus. BDSwiss stands for Banc de Swiss. BDSwiss uses the latest Spot Option trading platform, and they are a very popular binary options broker in all of Europe. And yes, BDSwiss is licensed and regulated by CySEC. 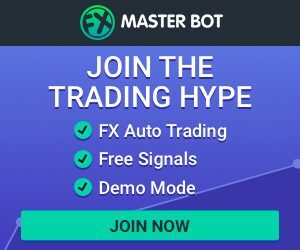 South African traders can also use this trading platform. 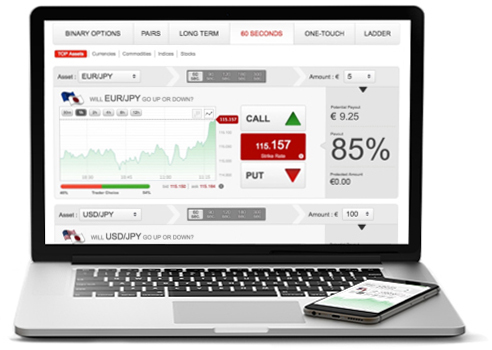 Since BDSwiss uses the newest Spot Option platform, investors can trade binaries in 30 second, 60 second, 2 and 5 minute options, along with one touch, ladder and pairs. Also they offer a Forex and CFD platform. BDSwiss has also made their system available in a wide variety of languages. Trade anywhere, anytime with our industry leading platforms. Use our advanced charting tools and indicators to manage your risk and better determine price direction. Note that no indicator is absolute. Place your positions on more than 250 underlying assets from leading exchanges including stocks, commodities, currencies and indices. View our Asset List. Learn how the financial markets operate and develop your own trading strategies with our accredited trading courses and webinars. Please note that studying our educational material cannot be an absolute guarantee of your success as a trader. Contact our multilingual support via email, phone or Live Chat and get all the help you need with your day to day trading activities. BDSwiss has a range of deposit options with the minimum deposit being only 100 units. You must be 18 or older to use the BDSwiss binary options trading system, and United States traders are not accepted. You can deposit using credit or debit cards, wire transfer and some ewallet methods like Skrill and Neteller. These are needed to comply with anti-money laundering regulations and to protect your interests. BDSwiss does have some great bonuses and promotions. Naturally as with all binary options brokers, there are some stipulations you must meet before you can withdraw that bonus money. But BDSwiss has some of the best terms found. When you receive a bonus from BDSwiss, you are required to trade a volume of 15 times the bonus amount before you can withdraw that bonus money. So if you received a $100 bonus, you would have to trade a volume of $1,500. Always read bonus terms before accepting. Many traders do not accept these bonuses because of the stipulations attached to them. I usually don’t also and recommend the same. BDSwiss processes withdrawal requests within 3 working days. The minimum withdrawal is $100 and it will be processed back to the same method you used to deposit. As long as you sent in the required compliance documents, withdrawals flow quite smoothly. Upon checking complaints against BDSwiss and I found very few, with the majority being over bonuses and the investors not reading the terms before accepting the bonus. I didn’t find any complaints regarding withdrawals. BDSwiss seems like a great binary options broker you can feel confident trading with. Always keep in mind that trading is risky and traders can lose all capital.